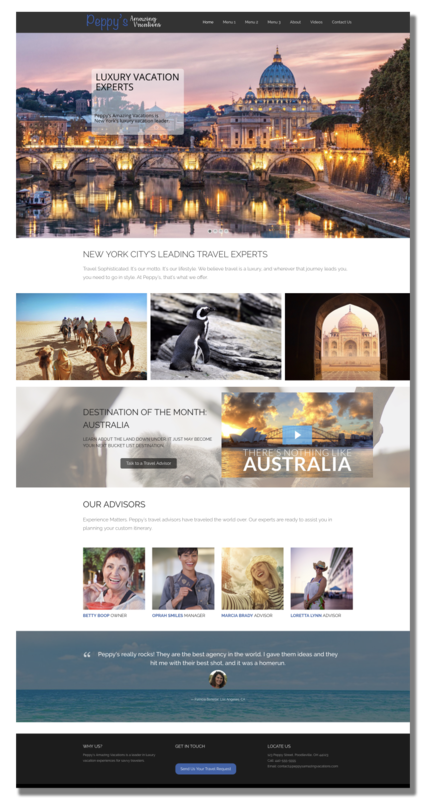 You have a choice of 2 different Travel Features sections, one with 3 horizontal rectangles that span the width of the page, or (below the video row), an area with 4 smaller squares which is perfect for images of your staff. Choose one or the other with the Standard package. There are additional options for the Plus and Professional packages. 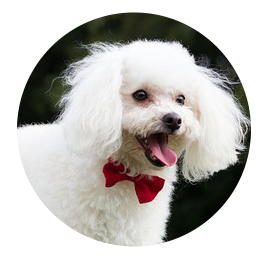 Peppy was a darling little white toy Poodle with a teddy-bear haircut and face. He was a fun little guy that traveled everywhere with Adam, from Washington DC to Florida to Ohio and more. Peppy’s a little angel now but we know he’d be proud of the website theme named after him!